Do you live in a flood-prone area? Then you must have faced a flood or will eventually be facing one. It might sound a little harsh but it is better to be prepared than later regret it. You should always take precautions for your property against flood. But what if it doesn’t suffice? You have to think of the worst too. Don’t be disheartened. There are ways in which you can restore your property. All you need to do is resort to a good flood restoration service. We, at A Emergency Services & Restoration, can be a good choice for you. We, bring you a fast, reliable, and high-quality restoration service for your property. We understand the kind of devastation you are likely to face due to floods and therefore, we try our best to provide you with a quality and speedy restoration so that you can go back to your normal, daily routine as soon as possible. 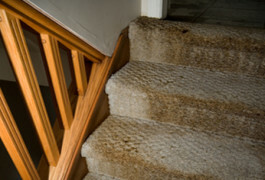 We have gained a solid reputation owing to our years of experience and knowledgeable technicians who have dealt with several kinds of property restoration cases. So, if you belong to areas such as Arlington Heights, Chicago, Des Plaines, Evanston, Glenview, or Northbrook, you can rely on us. 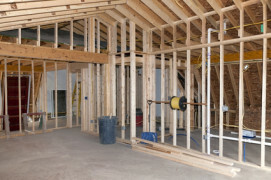 Here, we have put together a few benefits of hiring a flood restoration service at the soonest. Take a look. 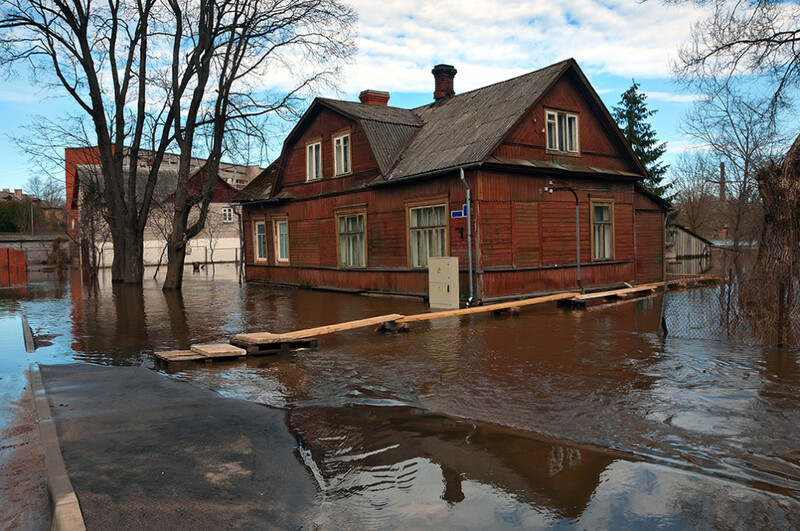 By hiring a flood damage restoration service, you can decrease your risk of further damage. The standing water in your house can lead to electrocution and cause accident and accumulate molds and mildew which can spread other kinds of diseases. These flood damage restoration services can provide you with a thorough cleaning. They not just restore the property but also complete dry up the area, making it free from moisture with the help of their advanced equipment. So, if you would like to hire us, quickly get in touch with us now. Tragedies can happen at any time and destruct things in no time. But the impact of a tragedy can last for a lifetime. The trauma and stress of surviving an emergency is a lot to endure. While it will take time to cope with this sort of an unfortunate incident, you must at least get your property restored. One such devastating tragedies which not just affects you mentally but also destroys your home is fire. If you have unfortunately become a victim of a fire emergency, you should resort to a fire damage restoration service as soon as possible. We, at A Emergency Services & Restoration, can help. We have more than ten years of experience in restoring properties for several kinds restoration work including fire damage, water damage, mold and mildew damage, and so on. We have experts who know how to deal with the effects of fire and smoke. We are known for our quick response and quality service. So, if you are from areas such as Arlington Heights, Chicago, Mt Prospect, Northbrook, Northfield, Park Ridge IL, then you can resort to us for your fire damages. Here, we have put together a few important queries that you might have about a fire damage restoration service. Take a look. Are you capable of dealing with severe fire damage? Fire has drastic aftereffects. In order to deal with the damage caused by the fire, soot, and smoke, you need to choose a company which offers all these kinds of solutions. You should ask the company to ensure if they have the right people and equipment to deal with such issues. Can you help at odd hours too? Prompt response is the primary sign of a good emergency service. Regardless of what is your concern, they should come to your rescue at any time you need them. So, ask if they can respond to you immediately. So, after asking such questions, if you think we can be a good choice for you, get in touch with us now. Nobody has any control over life and nature. Natural disasters or man-made disasters can be both quite disrupting. Along with posing a threat to the lives of people, it also causes a lot of damage to your belongings. This will leave an impact on your daily routine and also spreads several kinds of diseases. And one of the worst impacts is caused by a fire breakout. It can leave your home in flames, burning everything down with just traces of soot all around. You should seek professional help for the repair and restoration of your home. We, at A-Emergency Services & Restoration, can be the right choice for you. We provide all kinds of emergency and repair services, right from water, molds, to even fire damage restoration. We operate 24 hours and 365 days a year in areas including Arlington Heights, Chicago, Evanston, Glenview, Northbrook, and Northfield. So, regardless of when the fire breaks out or whether it is your ceiling or walls have been damaged by the smoke or soot, we will be there with our licensed professionals. 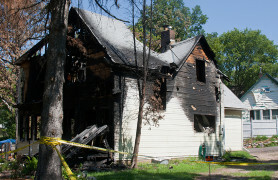 Here, we have put together 2 things to check about your fire damage repair and restoration service before hiring them. Take a look. You should understand that the consequences of a fire emergency are pretty serious. You will need licensed and dedicated professionals who have had immense experience in this matter. Without the experience, they might not understand how to restore or repair the damage. Secondly, you should check the level of expertise and technical knowledge that the company staff has regarding the repair and restoration. There are different kinds of fire damages depending on the type of fire. And accordingly, the cleaning technique will also differ. This kind of knowledge must be known to the company you are hiring. Regardless of whether it is fire, water, soot, smoke, or any other unforeseen emergency, the damage is bound to be tremendous. Therefore, it will not be possible for you to handle the repair and restoration on your own. If you hire dedicated professionals, then they can understand the nature of damage in your house and accordingly, provide you with the restoration of your property without disrupting your normal life and daily schedule. We, at A-Emergency Services & Restoration, can offer you high-quality, quick, and reliable emergency service and restoration for all kinds of properties. With an experience of more than 10 years and a high level of dedication, we also communicate with your insurance carrier about your property damage and losses. Our specialized services comprise glass replacement, mold removal and remediation, water removal, fire or smoke damage restoration, board up and other emergency services. So, if you are from areas like Chicago, Deerfield IL, Harwood Heights, Mt Prospect, Norridge, or Park Ridge IL, you can resort to us without any hesitation. Here, we have put together a few things to ask a company before choosing them for any kind of emergency restoration of your home. Take a look. Do you have qualified technicians to carry out the restoration? Before you select a company to restore your home to its original condition, you must make sure that the company hires well-trained, knowledgeable, and smart technicians. They should have the expertise and the experience to do the repair and restoration of residential spaces. So, asking this question is a must. Do you provide 24×7 services? An emergency is unforeseen. You will never know what you might have to face but when it strikes, the damage can be devastating and lead to several kinds of inconveniences. Therefore, it is better if you can opt for a 24×7 emergency and restoration service so that they can immediately start with cleaning and restoring your damaged property. After asking such questions, if you think we can meet your needs efficiently, you must call us at 773-529-6700 now. A Emergency can help you with water damage in Mt Prospect, Niles, Northbrook, Northfield, Park Ridge IL or Skokie. They are a disaster recover company and can help you with all types of water damage. Water damage can result from various causes. It can from domestic sources such as a burst pipe, open tap, plumbing problems, leaks, drainage problems, blocked gutters and so on. Water damage can also be the result natural causes such as floods, flash floods, storm surges, prolonged rain, melting snow and more. Whatever the cause, you need to know who to call when you suffer water damage. When water accumulates where it is not meant to, you will suffer damage. Even a small amount of water can cause a lot of damage. You also don’t want the water to remain in your home for any length of time. Standing water can soon turn bad and become black water. Now the situation just got worse and you face potential health risks. 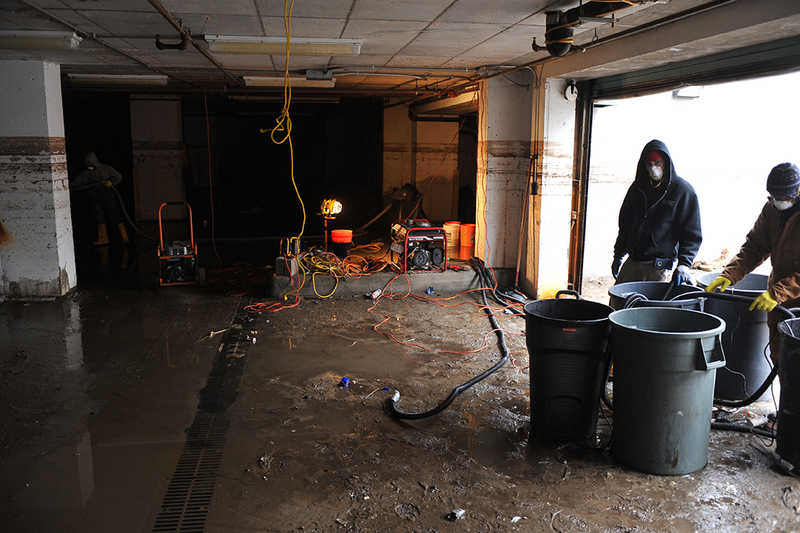 Water damage restoration involves the removal of the unwanted water. Industrial strength extractors and pumps are used to get rid of the water. After that the restoration crew will use humidifiers and air movers to dry everything. They will also check which items are damaged and whether they can be salvaged. Water damage restoration could also involve repair and reconstruction work. 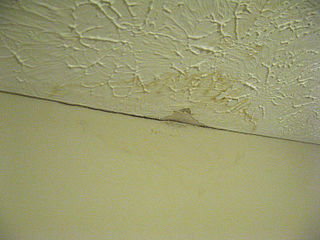 In the case of domestic water damage the cause of the damage needs to be addresses and repaired. The disaster recovery team from A Emergency will restore your home or building to pre-disaster states in the fastest possible time. They understand the urgency and they have to people and the equipment to get the job done in quickest possible time. If you need water damage restoration in in Mt Prospect, Niles, Northbrook, Northfield, Park Ridge IL or Skokie, A Emergency can help.